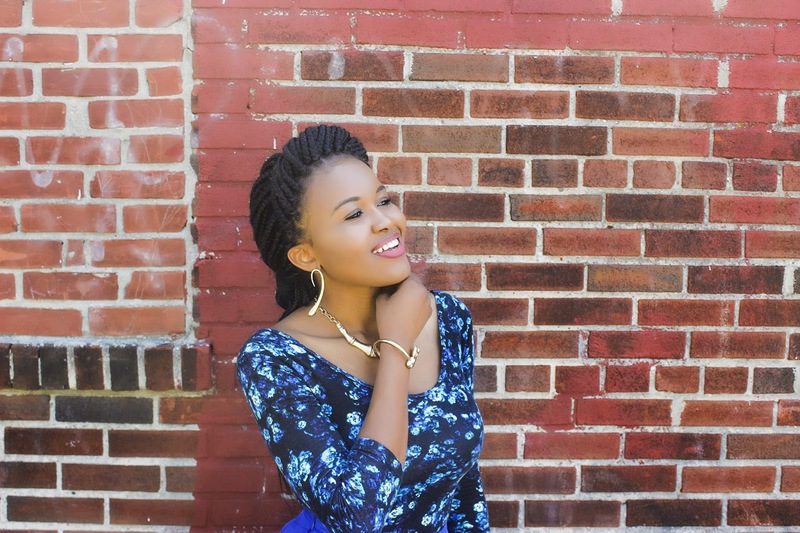 Our first guest blogger is Osy from Style Diary by Osy. 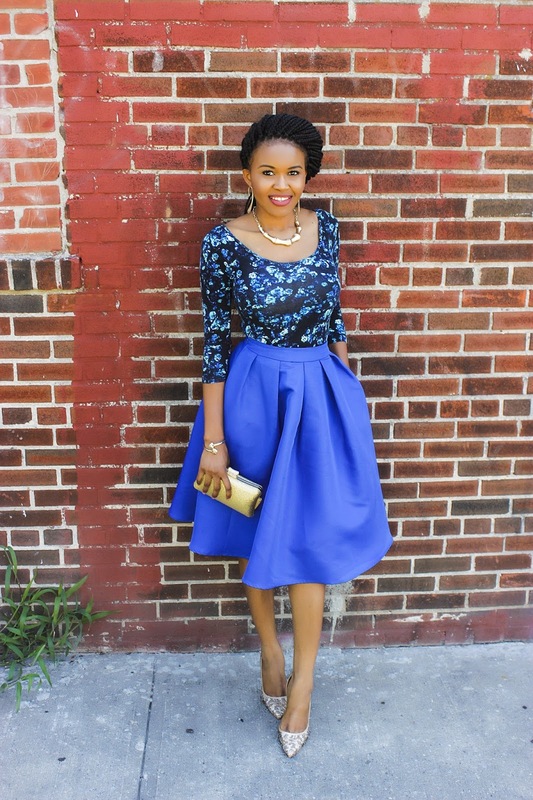 She will be styling a wedding guest outfit using her favorite color! 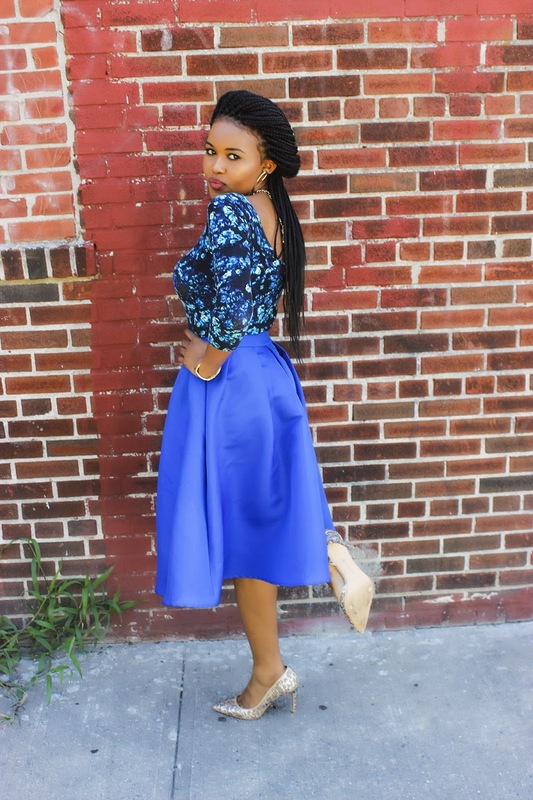 Read on for more style inspiration. 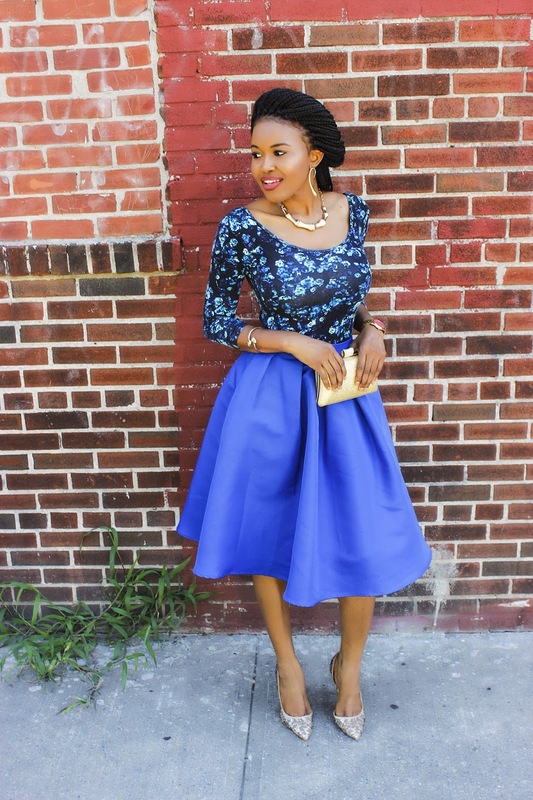 Hi all, I am Osy from StyleDiaryByOsy and I am excited to be a guest blogger here as I cover for Lizzie. 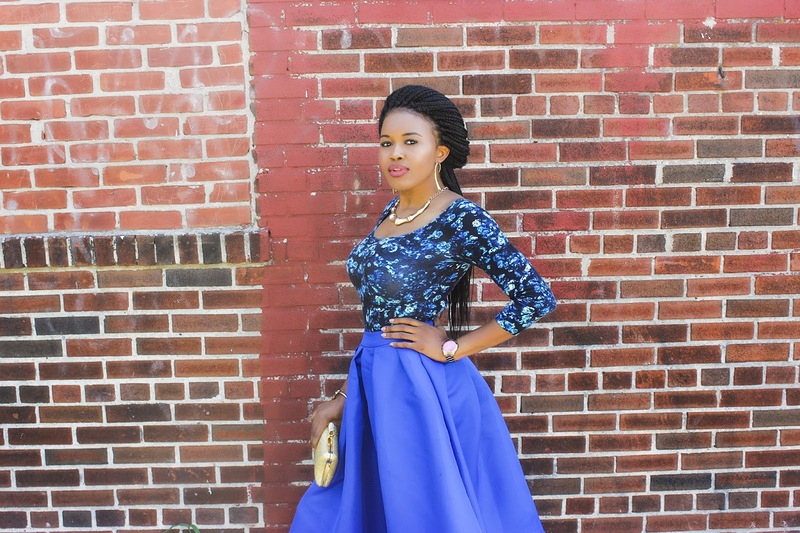 Today, I am sharing a wedding guest inspired look. I recently styled a summer version in which I used brighter colors but Fall is right around the corner so it’s time to tone down on the bright outfits. 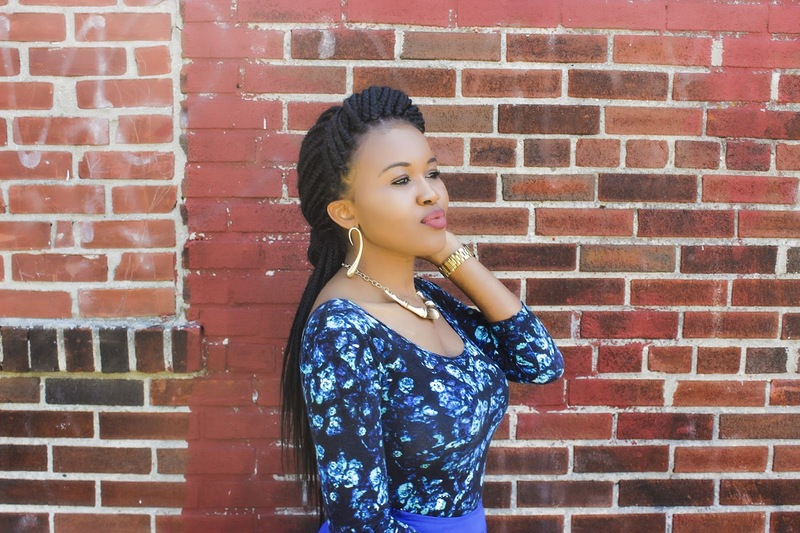 Blue is my favorite color and I believe it is an easy color to wear in any season. I love gold accessories and it was easy to add them on to this look as a highlight against the dark color. 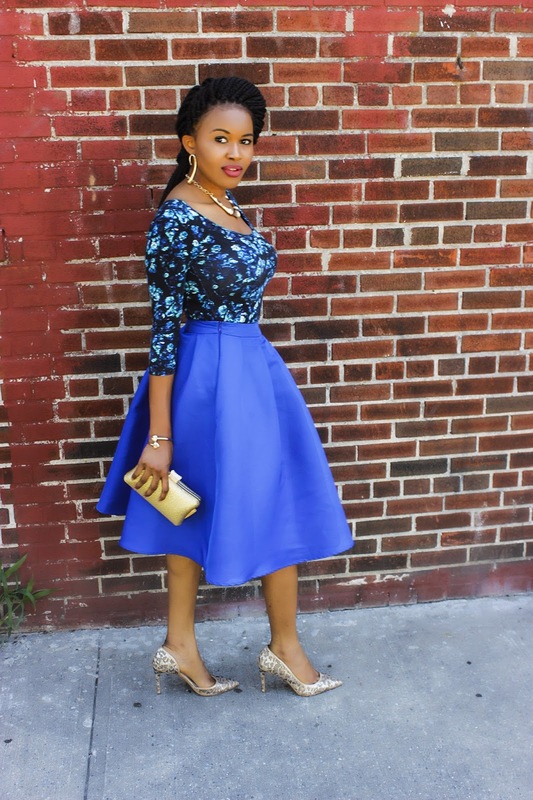 Most people wear dresses to weddings but hey if you want a break, try one a midi skirt. I hope you loved the look, do share your thoughts. And I would love to have you stop by my page, come see my other looks and say hello. Big thanks to Lizzie. Have a great week everyone.